Guntram Geser has in-depth research experience in EU projects (IST priority and other programs) and national projects as carried out in industrial competency centers. Main tasks in such projects are the development of ICT research & development roadmaps, technology monitoring & assessment, and studies on ICT adoption, usage, and impact. In particular he is interested in the role of e-learning & culture in the knowledge-based society. ARIADNE – Advanced Research Infrastructure for Archaeological Dataset Networking in Europe (FP7-Infrastructure, 02/2013-01/2017). Key tasks: Community building, innovation agenda, user requirements, linked data, e-archaeology. agINFRA – Data Infrastructure to Support Agricultural Scientific Communities (FP7-Infrastructure, 10/2011-10/2014). Key tasks: User requirements, data policies, evaluation of e-research services. CreativeCH – Creative Cooperations in Cultural Heritage (FP7-SiS, 10/2011-09/2014). Key tasks: Innovation forum, workshop programme, toolkit & handbook. Links-up – Learning 2.0 for disadvantaged people (Lifelong Learning, 11/2009-10/2011). Key task: Case study report on inclusive Learning 2.0. STERNA – Semantic Web-based Thematic European Reference Network Application (eContentPlus, 06/2008-11/2010). Key task: Technology Watch Report. Hist.Urban – Integrated Revitalisation of Historic Towns (Interreg IIIB CADSES, 02/2006-08/2008). Key task: A study on Historic Towns and Cultural Tourism in the Experience Economy. EPOCH – Excellence in Processing Open Heritage (FP6-IST NoE, 03/2004-03/2008). Key task: Development of a common longer-term Research Agenda in ICT for tangible cultural heritage such as monuments, archaeological sites and museum collections. OLCOS – Open eLearning Content Observatory Services (01/2006-12/2007): Key task: Development of the OLCOS Roadmap for Open Educational Resources 2012. Prosuming in the eTourism Industry (2005-2006): Study for the Austrian Network for eTourism (ANET), the Austrian network of three competency centres including the ANET centre at Salzburg Research. Digital Content Engineering – R&D and Market Opportunities (2004-2005): Study for the industrial competency centre Salzburg NewMediaLab. DigiCULT Forum (FP5-IST accompanying measure, 03/2002-12/2004): The „technology watchdog“ for the European ALM (Archives, Libraries, Museums) sector. EP 2010 – The Future of Electronic Publishing in 2010 (11/2002-10/2003): Strategic study for the European Commission, DG Information Society, Directorate E.
DigiCULT – Technological Landscapes for Tomorrow’s Cultural Economy (01-12/2001): Strategic study for the European Commission, DG Information Society, D2: Cultural Heritage Applications. Guntram Geser holds a Doctorate (Communication and Political Sciences) from the Paris Lodron University in Salzburg (1989) and a Master of Advanced Studies in Telematics Management from the Donau-University Krems, Austria (1997). 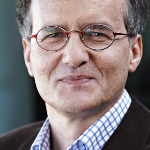 He joined Salzburg Research in September 1997 and from January 2001 to February 2011 led the department Information Society Research. Currently he is lead researcher in projects of the InnovationLab. From 1990 to 1996 he worked on cultural studies of technology and media in projects carried out in Vienna (Austrian Film Archive), Berlin (Technical University Berlin, Deutsche Film- und Fernsehakademie) and Amsterdam (Instituut for Film- en Televisiewetenschap, Nederlands Filmmuseum). He lectured at the Vienna Interdisciplinary Research Unit for the Study of (Techno)Science and Society and worked as media consultant for the Austrian Cultural Service. He also brings to projects his expertise in designing and editing publications (such as the DigiCULT Thematic Issues) which he developed as a free lancer for periodicals such as „Perspektiven“ (focus: urban development and architecture) or „Eikon“ (focus: photograpy, media art, semiotics). „Weird Science: Excerpts from a Diary“ Dear Diary, do we want to win this competition or not? Of course, juries, not architects, decide competitions, but first there is our own, invisible judgement: for each project there is a beyond – a domain where no jury will follow. Greater than the total loss to all the conspiracies, political pressures, blatant corruption – all those „masterworks“ that they didn t give first prize – is the tragedy of the even more brillant works that we didn t dare to imagine. Wanting to win a competition is not the same as wanting to do your best possible work. Anyway, don t be paranoid; forget names, juries are a mere statistical sample, their „plots“ are just a message from the real world (you don t kill the messenger).“ Rem Koolhaas, In: S, M, L, XL. Rotterdam: 010 Publishers 1995, p.604. Guntram Geser	(2009): Technology Watch Report. A Report on Semantic Approaches for Including Digital Cultural and Bio-Heritage Resources in the European Digital Library Initiative. Salzburg, January 2009. Guntram Geser	(2008): Open Educational Resources:	The Key Role of Social Software	In: Veronika Hornung-Prähauser, Michaela Luckmann, Marco Kalz (Hrsg. ), Selbstorganisiertes Lernen im Internet. Einblick in die Landschaft der webbasierten Bildungsinnovationen. Innsbruck: Studienverlag, S. 190-195. Graham Attwell, Guntram Geser, Wolf Hilzensauer, Sandra Schaffert	(2008): Open Educational Resources. Recommendations and Exemplary Tutorials	In: Taiga Brahm (Ed. ), The Changing Face of Learning in Higher Education Institutions, scil report 18, June 2008, Paper Proceedings of the 3rd International scil Congress 2008, St. Gallen, CH. Sandra Schaffert, Guntram Geser	(2008): Open Educational Resources and Practices. In: Roberto Carneiro & Lluis Tarin (Ed. ), eLearning Papers. Promoting innovation in lifelong learning. Special edition 2008. Barcelona, p. 14-19. Veronika Hornung-Prähauser, Guntram Geser, Wolf Hilzensauer, Sandra Schaffert	(2007): Didaktische, organisatorische und technologische Grundlagen von E-Portfolios und Analyse internationaler Beispiele und Erfahrungen mit E-Portfolio-Implementierungen an Hochschulen. Salzburg. Guntram Geser	(2007): Strategies for developing a high-quality cultural tourism environment. Chapter 6. In: Hist.Urban. Integrated Revitalization of Historical Towns. Baseline Study. Prepared by the Institute for Regional Development and Structural Planning, Germany, and the Centre for Regional Studies, Hungarian Academy of Sciences, Hungary. Guntram Geser, Mark Markus	(2005): Thematische Dossiers zu eLearning & Wissensmanagement. DCE-Studie, Teil III	In: Guntram Geser, Tobias Bürger, Mark Markus (Hg.). Digital Content Engineering: F&E- und Marktoptionen. Teile I-V. Digital Content Engineering Studie i.A. des Salzburg NewMediaLab. SNML, Salzburg. Guntram Geser, Thomas Olesch	(2000): ICTs and E-Learning in Austrian Schools	In: International Journal of Educational Policy, Research and Practice, Vol. 1, Nr. 3, Fall 2000, pp. 307-316. Guntram Geser, Michaela Lindner	(1999): Zusammenhalt in der Informationsgesellschaft am Beispiel Beschäftigung. Dokumentation eines Workshops mit Prof. J. Hochgerner. Guntram Geser	(1999): Die Schulen auf dem Weg ins Netz: Für eine neue Lernkultur. In: Uwe Beck / Sommer, Winfried (Hg.) Tagungsband Learntec 99. 7. Europäischer Kongress und Fachmesse für Bildungs- und Informationstechnologie. Karlsruhe 1999, S. 741-749. Peter A. Bruck, Guntram Geser, Andreas Pointner	(1999): Monitoring internationaler Trends des schulischen Einsatzes neuer Medien. Guntram Geser	(1998): Weil Burschen es so und so können. Geschlechter-Unterschiede bei der Computernutzung von SchülerInnen. In: Sozialwissenschaftliche Rundschau, 38. Jg., Heft 4. S. 411-427. Peter A. Bruck, Guntram Geser, Andreas Pointner, Günther Stocker	(1998): Noten für’s Notebook. Von der technischen Ausstattung zur pädagogischen Integration.